Targeting, it is almost a science to find the right target audience. And not as easy as it seems as well. 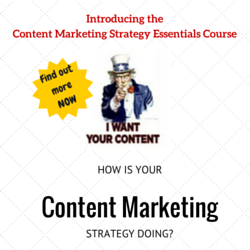 I often ask the question ‘who is your target audience’ in talks and training sessions. In general the answer then is ‘male or female between the age of…’. The follow up question then is: ‘what should they be doing’, on which most responses are ‘buying our products’. With that people tend to forget about the extra target audience they have: influencers. But when you have things narrowed down most companies still target based on group-details, starting with the difference between men and women, after all we all know that men are from Mars and Women are from Venus, so we should treat them differently right? 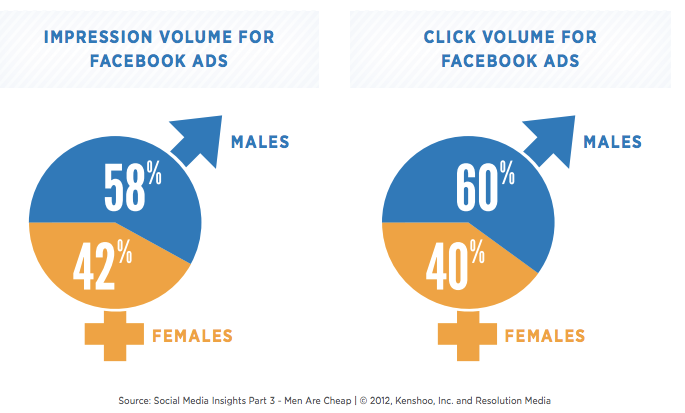 A new study of Facebook advertising by Resolution Media and Kenshoo Social looks into that difference and some assumption we all make about the differences between men and women are challenged. Like for example that targeting men gets a better response rate and is cheaper. The research called ‘Men are cheap’ shows at first that there are more women (58%) than men (42%) active on Facebook. If you stop thinking there you might assume that it would be a better idea to target the women, but you should always think a few steps further. The research shows that there is more budget being reserved for targeting men than women. This automatically means that more men get to see specific ads than women do, men are more advertised to. Men are not only getting more ads because they click on them more often, but also because they are ‘cheaper’. The big message here: don’t stop thinking and researching with the first numbers you see, there is always an angle to find which will be different and benefit you.